We’re not at its end yet, but 2018 has already been a year dogged by IR35 headlines and from what we can see in the professional contractor recruitment space, this isn’t about to change, writes Will Jones, a director at Harvey Nash Recruitment Solutions. With today’s Autumn Budget upon us, negative sentiment towards the Off-Payroll rules is at fever pitch as uncertainty over their expansion to the private sector is at an all-time high. And if HMRC’s treatment of these regulations from April 2017 is anything to go by, now is absolutely the time for all concerned in the private sector to prepare for change. While we have seen an outflow of temporary and contract professionals from the public sector due to the 2017 framework, what is apparent is that with effective planning and processes, the negative implications can be mitigated. Unfortunately, the general reaction among end-users to date has been one of apparent inertia and limited understanding. Very few in the private sector have implemented any changes yet, suggesting they’ll be under severe pressure should the regulation push ahead in April 2019. The knee-jerk ‘umbrella-only’ policies and ‘PSC bans’ we saw introduced to the public sector remain an option, but it’s a nuclear one, and one that will seriously limit the ability of these companies to compete and hire exceptional talent. Those engagers who invest to develop staff expertise in the regulation (as was advised just last week by an IR35 advisory), establish processes, and who are proactive in their response to the changes once a commencement date has been fixed, will clearly be best-placed to secure talent. 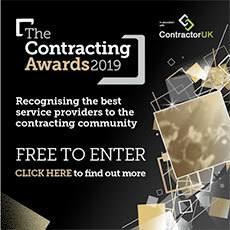 While there hasn’t been much noise from private sector companies who are the engagers, the temporary ‘pros’ we place – the freelance professionals of the contractor community who supply the engagers, have been far more vocal. A survey we conducted earlier this year found that 80% of contractor respondents believed that IR35 has had a “very negative” impact on the UK. Alongside this stark finding, 42% reported that they had increased their rates as a result of the 2017 Off-Payroll implementation. And with mental health becoming a prevalent issue in the UK, and specifically in the contractor community, a hefty 90% of respondents reported feelings of ‘stress,’ ‘worry’ and even ‘anger’ over the legislation’s introduction in the public sector. So IR35 reform has clearly impacted the public sector. Similarly, the private sector and its limited company contractors now face a shake-up, with new expectations set to be placed on both these professionals workers and their end-clients. From the public sector, we know that the world of the contractor in a post-IR35 world involves greater risk. It’s likely that the standard ‘T&M’ (Time and Materials) engagements most contractors are familiar with, will be heavily impacted by the envisioned new IR35 rules in the private sector, with the end result that contractors will have to take on more risk. The sooner you start talking to the end-user about potential IR35 reform, the better you can begin planning and setting expectations as to how the new dynamic will be managed. As mentioned, in-depth understanding across the private sector remains generally low. Contractors may find themselves being asked to offer solutions to many of the problems the end-user will face. Be prepared to provide (sensible) advice and approaches to support the end-client in navigating through the acceptable reporting/status updates, as opposed to activities which would bring you under Supervision, Direction or Control. Engage the end-client on a defined outcome basis. In cases where this is not possible, then request more maturity in the services description. The goal is to establish a clear statement of work that demonstrates the contractor’s outside IR35 status. A real sticking point of IR35 is substitution. Contractors must be able to offer an equally skilled/experienced substitute to manage the work should they become unavailable (for whatever reason). Start building your network and mutually-beneficial relationships with those other contractors in your field. The reality is that a number of questions still hang over IR35 from the public sector reforms, such as whether HMRC’s CEST tool is fit for purpose. Add to that the number of successful IR35 appeals against HMRC, plus the weighty criticism from tax experts, judges and the recruitment industry, all of which suggests more time is needed to assess the impact of the reforms -- and iron out the many bugs that exist in the system. Should chancellor Philip Hammond today push ahead with the IR35 reforms in the private sector, one consolation we can take is that a lot has been learned from the public sector. Provided the changes mirror those of the public sector, the transition will, hopefully, be more manageable.